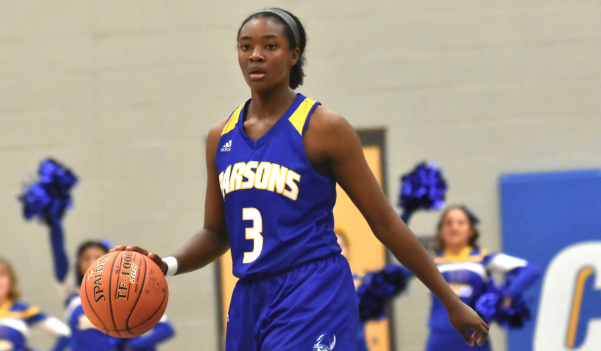 Parsons senior Nena Taylor has lit up the scoreboard in 2018-2019 for the Parsons Vikings, scoring over 30 points nine teams this season. Parsons has played in 16 games. For her efforts she has earned Labette Bank Athlete of the Month out of the Southeast Kansas Area. Taylor, who is being recruited as high as the Division I level, is averaging around 27 points and 10 rebounds per game this season for the Vikings. She also has her team with a 12-4 record and only one loss in 2019 part of the season. She also went over 1,000 points a few weeks back and led Parsons to their first ever Southeast Lancer Classic Tournament Title. Taylor also had 34 points on Tuesday in the win over Coffeyville and 25 last Friday. 1,000 points are common for a good high school player, however Taylor missed an entire season, so it's that much more of an impressive feat. Taylor also has a 4.05 weighted GPA and has been very active in Girl Scouts. She is seeing looks from all levels of colleges in basketball. Last season Taylor averaged 21.1 poings per game and 10.5 rebounds per game. Head coach Mike Krull, in his fourth year with the program, has done an oustanding job with this team that is known for Taylors offense and team defense. The Vikings only allow 37 points per contest. Parsons would be the six seed on the 18-team sub-state bracket on the East 4A if the season would end today. They will be back in action on Friday against Independence, a team they lost to back on December 18th. -Athlete or Team (girl(s)or boy(s)) must play in the CNC, Pioneer, SEK, or TRL Leagues in Kansas. -Selection will be based on the play of that athlete over the period of that month. All stats and info must be provided. -All nominations are accepted with selection process being handled and finalized only by @sportsinkansas. Coaches are encouraged to nominate their own athletes or athletes from opposing schools. -Nominations MUST be emailed. Please email Chet Kuplen, CEO/Founder of Sports in Kansas, at sportsinkansas@gmail.com during the last seven days of the month to nominate your athlete!